​An enhanced lockscreen with more advanced notifications. ​A new "Today" view under the search bar to the left of the home screen contains interactive widgets. ESPN was demoed giving sports scores and video playback from a game through its widget. ​Third party apps like WeChat can work with Siri. 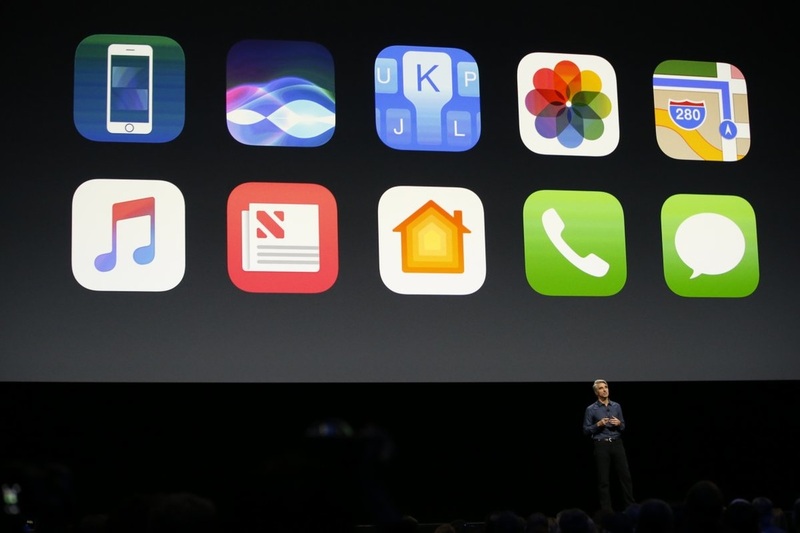 For the first time, Apple is giving app developers the ability to integrate with Siri. That means apps like WeChat and Spotify can be controlled with your voice. ​Siri is using machine learning to give intelligent suggestions while you're in a conversation. ​So if someone sends you an iMessage asking you where you are, Siri can suggest that you send that person your current location without you typing anything. 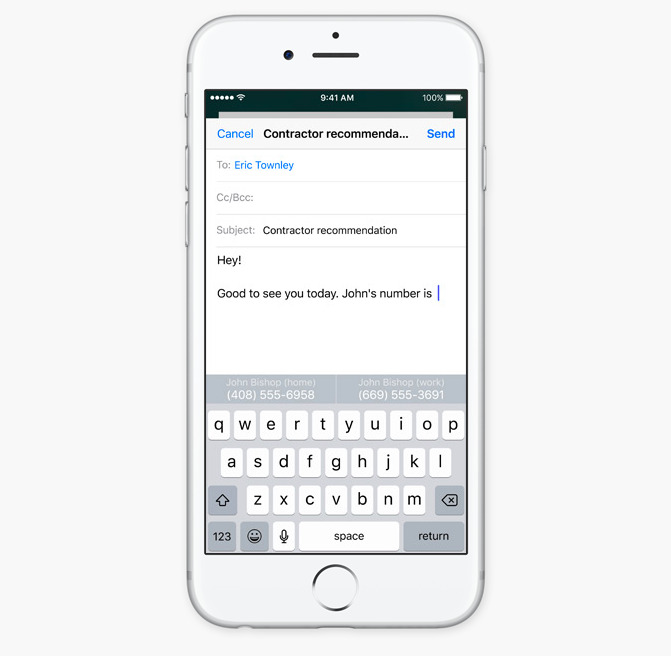 Intelligent suggestions also work for contacts, calendar availability, and more. ​The Photos app is getting a lot smarter. Apple is using computer vision and machine learning to build facial recognition into the Photos app. That means Photos can build albums based on the faces of people in your photos. You can even search for more abstract things in your photos, like beaches. Apple will use computer vision to suggest highlight reels and photo albums from your camera roll. Apple can also analyze videos you take and suggest edits along with where they belong in certain photo albums. 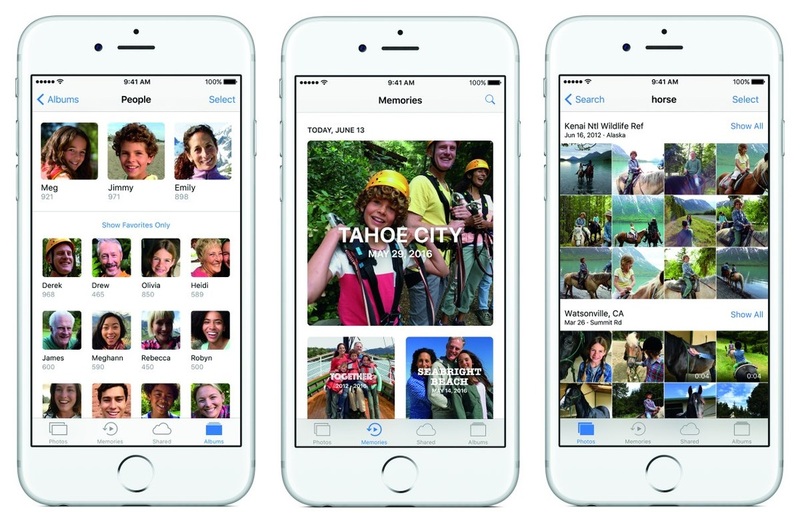 Apple is calling this feature "Memories." 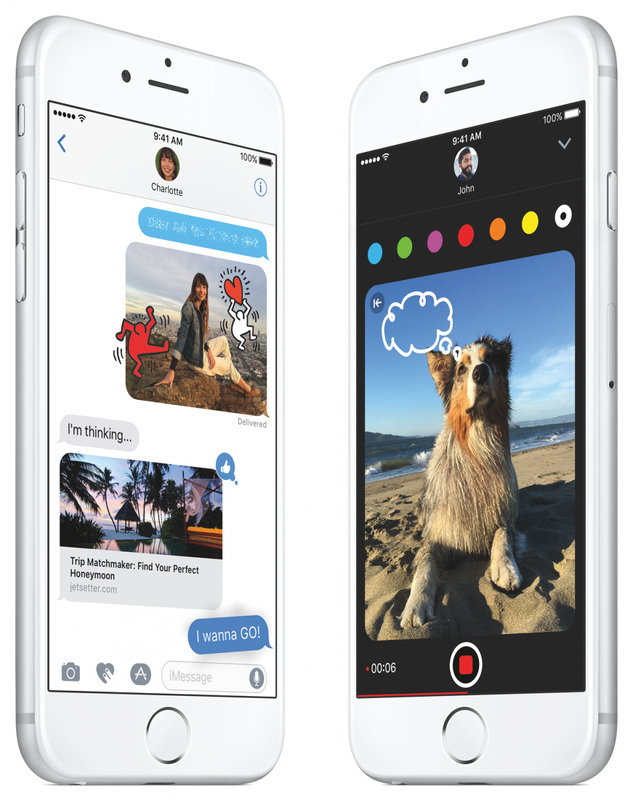 ​The Messages app is getting more playful with new ways to send messages. Web links will show previews inside your Messages conversations. The previews also work for links with audio, like a video or Apple Music link. "Bubble effects" in Messages let you make text shake and become bigger or smaller. You can send messages that are blurred out until you swipe over them. You can also draw letters directly into the Messages app. ​You send different size messages, draw on photos, send "invisible ink" messages, and more in the new app. 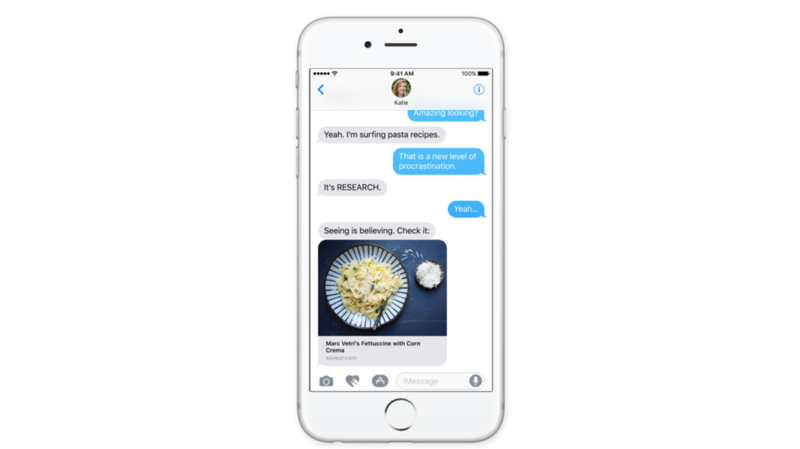 The new Messages can make certain text bubbles shake, grow, shrink, and more in a conversation for a playful effect. There are also new full-screen animations like balloons, confetti, and fireworks that take over the entire screen. "Invisible ink" makes it so that a certain message can't be revealed until the receiver swipes over it with their finger. You can also send handwritten notes with your finger and draw on photos like Snapchat. ​The new Clocks app can remind you to go to bed and wake up every day on its own. 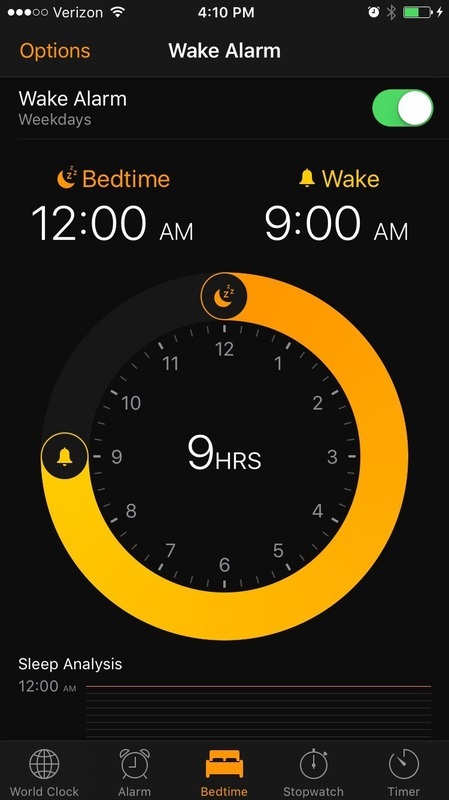 ​The redesigned Clock app in iOS 10 lets you set a weekly schedule for going to bed and waking up every day. ​A public beta of iOS 10 will be available in July on Apple's website. The new software will be available for everyone to download this fall.